Each of the above equipment included every element of the drilling set, ensuring independent execution of the task (including any pipes in lengths up to 12 m) . 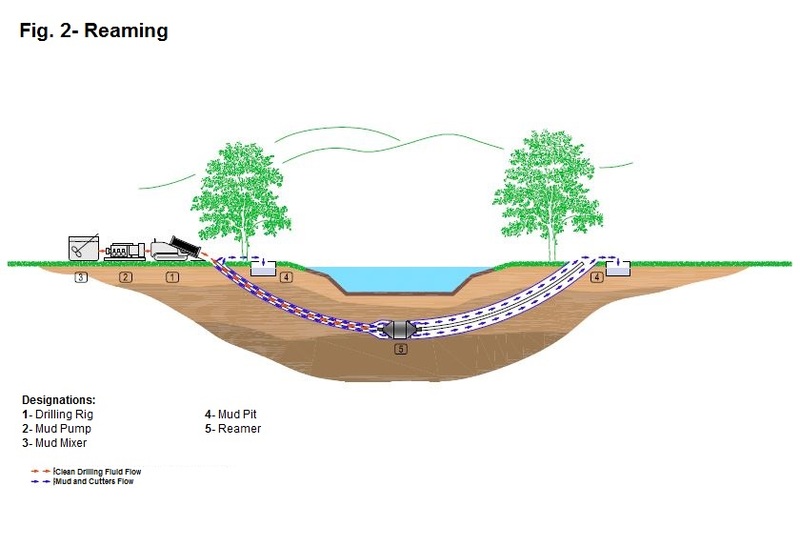 That is one of the most effective methods of trenchless technology construction of pipelines need for underground installations . It allows the development of pipes in almost all soil conditions . During this step, a hole is made in the design to the predetermined trajectory. Tool which mold the ground in this step is the most common- plate (hydraulic mold), or in more severe geological conditions- drilling bit (jetting or crumbling structure geological layer ) . 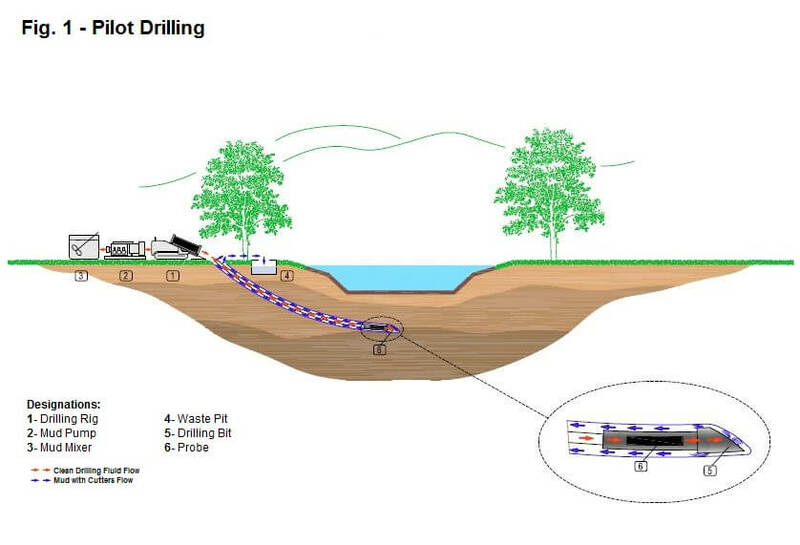 Trajectory of drilling is controlled by various types of navigation systems , which allows for the proper execution of the hole in terms of the position of the axis . The cutters created during drilling are emptied by the drilling fluid . In this part of the works , it expands previously developed a pilot hole for installation pipe with a diameter assumed . The ground is mold by using various types of reamers to a diameter greater by 20 % - 50 % of the diameter of the pipe which is installed in the borehole ( not the values ​​are fixed but closely related to the geological conditions at the work site ) . The cutters are formed as a result of reaming geological layers and emptied from the bore by drilling fluid . The final stage is a installing productive pipe in borehole- pulling pipe into hole by using special pulling head. Cutters is the remains of excavated material and polymer additives in the scrubber minimize friction between the pipe and the wall of the borehole , which facilitates the installation of the pipe in the hole by reducing the axial forces (torque ) and tangential forces.